The museum has changed it's open days to Friday and Saturday. 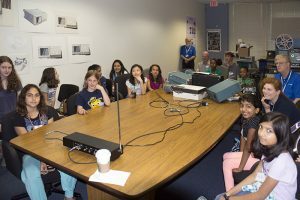 What do the Thomas Edison National Historical Park, The Hewlett-Packard garage, Signal Hill, the Computer History Museum, and the Alexander Graham Bell laboratory have in common with vintageTEK? 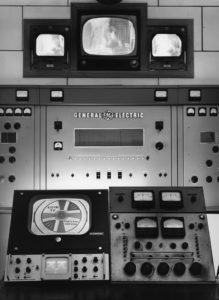 They are all sites listed along with vintageTEK on the 10 sites of electrical history to visit on your next road trip. Check out the complete list at Electronic Products. The vintageTEK museum loans instruments. If you know of a student that could benefit from the use of test and measurement equipment, please direct them to our Instrument Library page. Besides regular open hours, we also open for special visits and tours. We give educational tours for elementary, middle, and high school, college, adult, and senior groups. We use our classroom for education and hosting non-profit groups and societies. We support local STEM programs. All of these efforts take volunteers, time, and money and the museum does not charge for admission, special tours, classes, or STEM. Please consider a contribution to help keep the vintageTEK museum operational. vintageTEK is back on Twitter! We've been absent for a number of years but a new volunteer will be sending tweets about news and new items at the museum. Use the Follow @vintageTek button in the upper right. Receive monthly email newsletters from the museum. Sign up on our registration page. These newsletters are sent once per month and contain information and photos of what is happening at your museum. 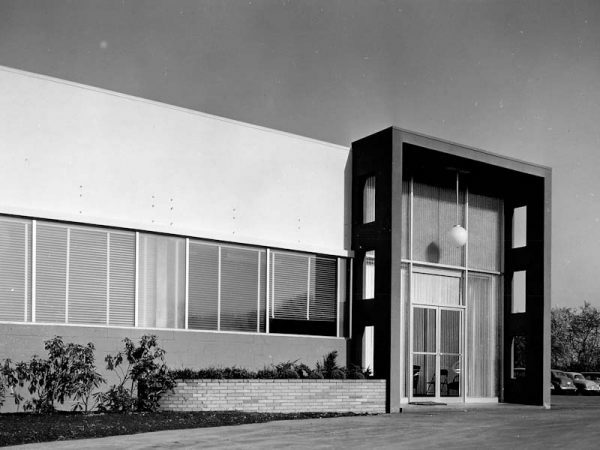 vintageTEK is a charitable, educational and scientific museum founded to commemorate the early history of Tektronix, Inc and its role in spawning approximately 300 high technology companies in the 'Silicon Forest' - i.e. the four county, two state metropolitan area of Portland, Oregon. Our main goal is to share our knowledge and history and to "pique the interest of young people in science and technology and to challenge them to become the technologists of the next decade". 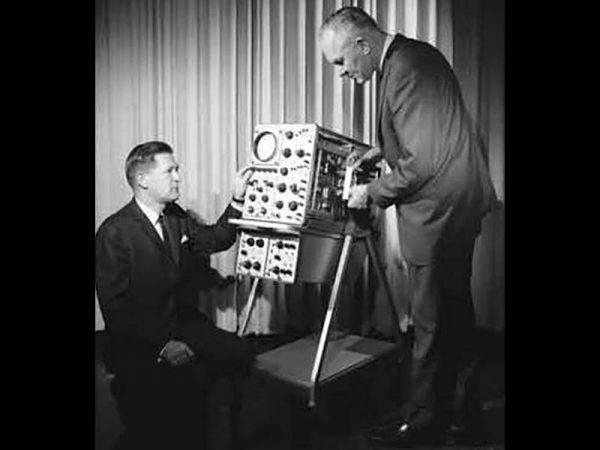 Tektronix oscilloscopes and related test and measurement equipment have been a cornerstone of the electronics industry for nearly three quarters of a century. Engineers use Tektronix products to advance the state of the art. The oscilloscope enables visualization and precise measurements of next-generation electronic devices, circuits, and systems. 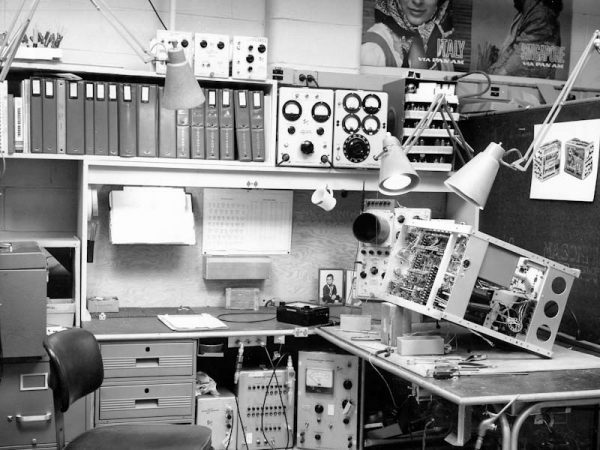 In the 1960s, Tektronix oscilloscopes helped put a man on the moon. 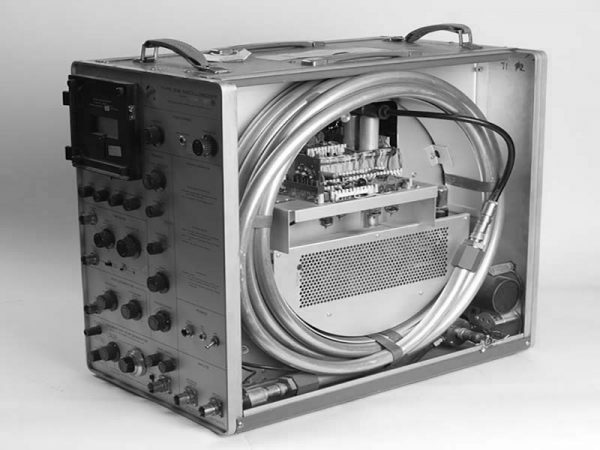 A critical element of this journey to the moon was the advanced moon landing guidance system. 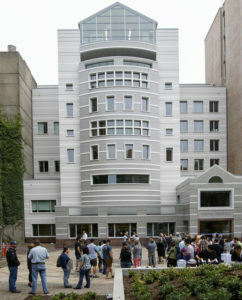 MIT Instrumentation Labs was responsible for the guidance system and used Tektronix oscilloscopes in the design and construction of this crucial system. 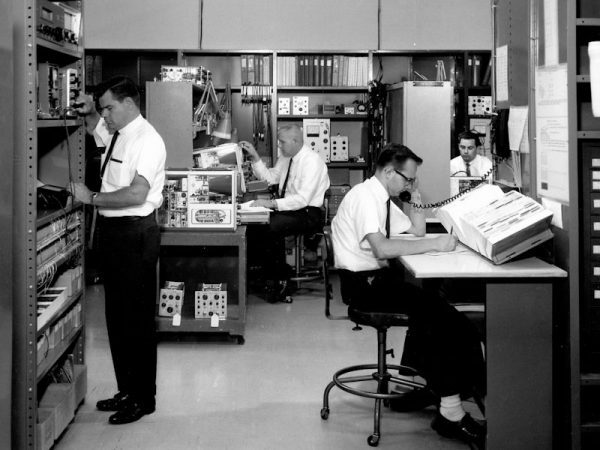 Grumman Aircraft also used Tektronix test and measurement instrumentation in the development and construction of the Lunar Excursion Module (LEM). 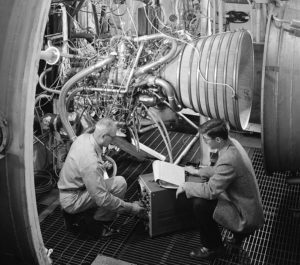 Pratt & Whitney engineers used a Tektronix 551 Oscilloscope for their Centaur RL-10 second stage rocket launcher. Goddard Space Flight Center relied upon a Tektronix 547 oscilloscope in the operation of their satellite network used for accurate tracking and communication with earth orbiting spacecraft. Leading scientists and engineers in many different fields rely upon Tektronix oscilloscopes for precise and accurate measurements. 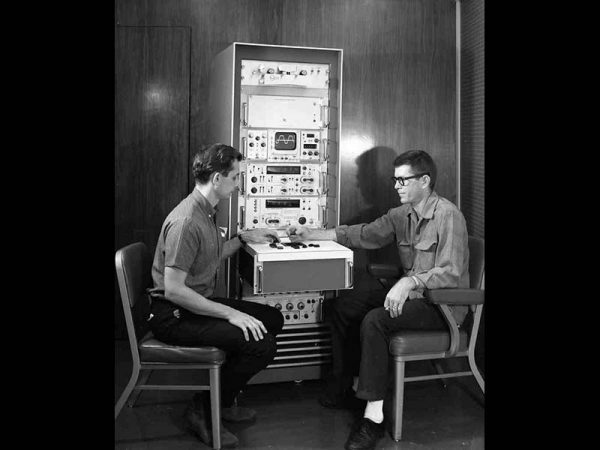 In the 1970s, Indiana University Medical Center (IUMC) relied upon Tektronix instrumentation to help advance their cancer research. Thompson CSF nuclear physicists and Indiana University nuclear medical researchers selected Tektronix instrumentation as part of their state-of-the-art 20 MeV linear accelerator. The precision and calibration of the linear accelerator was essential in the balance between cancer treatment and patient wellness. Tektronix precise instrumentation was used to ensure maximum effectiveness and safety in the advancement of cancer treatment. 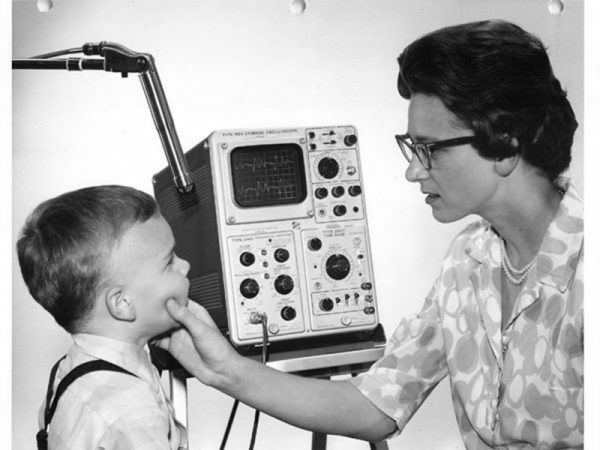 Howard Vollum's innate interest in science also drew him to the neuroscience laboratories at the Oregon Health and Science University (OHSU) where he knew his oscilloscope could be applied to healthcare research. He developed an interest in experiments measuring bio-electrical phenomena, and this ultimately provided his philanthropic motivation and led Vollum to endow an institute for advanced biomedical research at OHSU in 1987. Computer technology is ubiquitous and enables many different aspects of our everyday lives including business, transportation, medical, and entertainment. 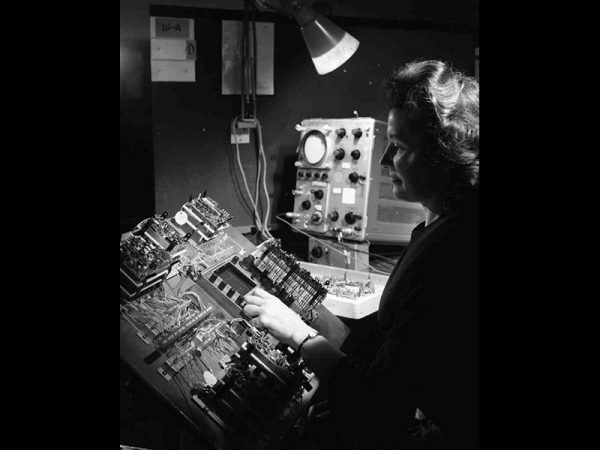 The growth and advancement of computers have been enabled by the precision and accuracy of Tektronix instrumentation. 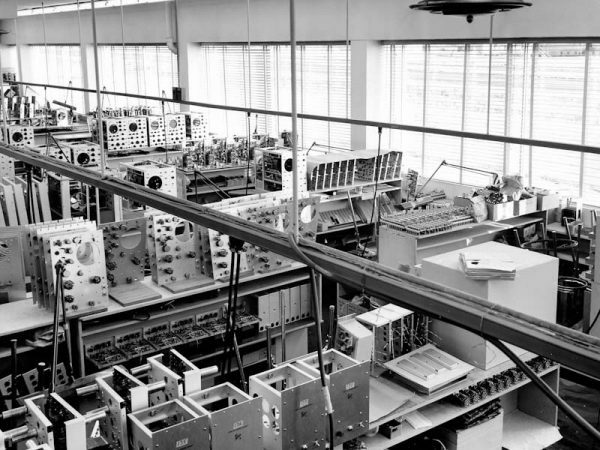 In the 1960s, The IBM 360 mainframe computer was the state of the art. 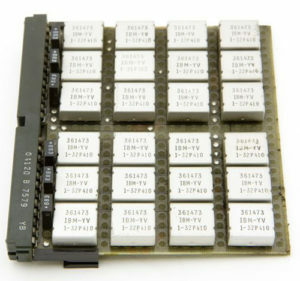 IBM microcircuits, known as solid logic technology (SLT) were key to the advanced performance of the 360. 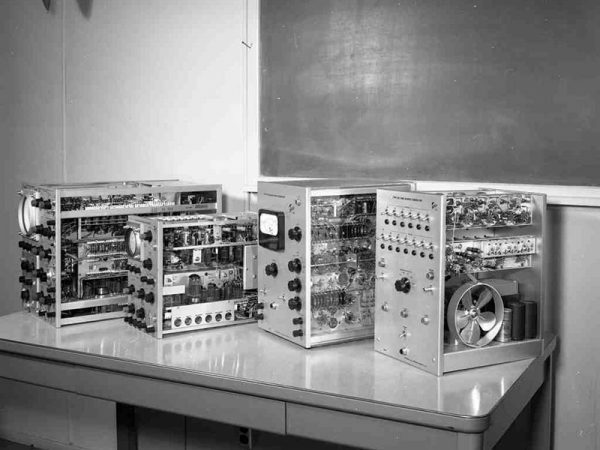 IBM test engineers relied upon the automated and advanced capabilities of the Tektronix digital readout oscilloscope to test the complexity and performance of these SLT modules. 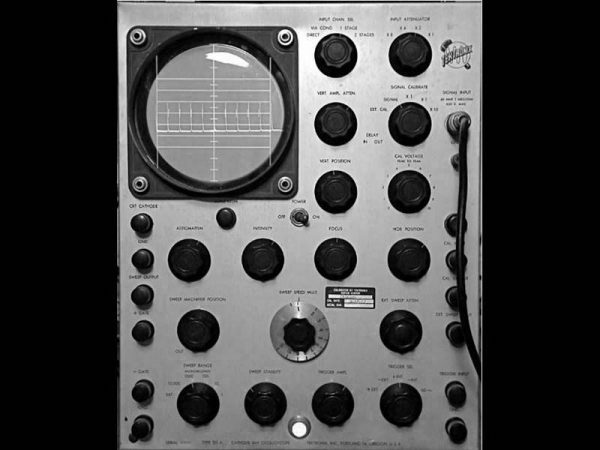 The design of the 360 is considered by many to be one of the most successful in history and was enabled by the advanced capabilities of Tektronix oscilloscopes. 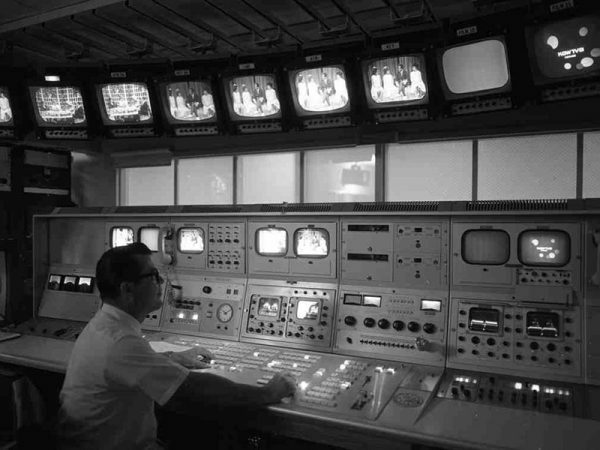 Tektronix vectorscopes, waveform monitors, and test signal generators were instrumental in the development of color television. 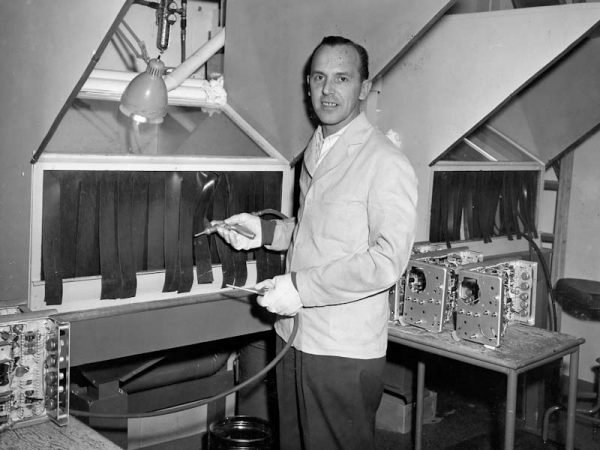 In the 1950s, Tektronix products were used by RCA in the development of the NTSC color system which enabled broadcast for both color and black & white reception. 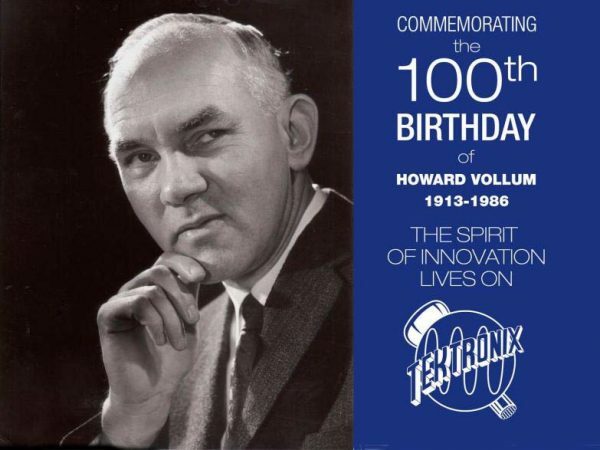 In Europe, Dr. Walter Bruch used Tektronix oscilloscopes exclusively in the development of the PAL color system. 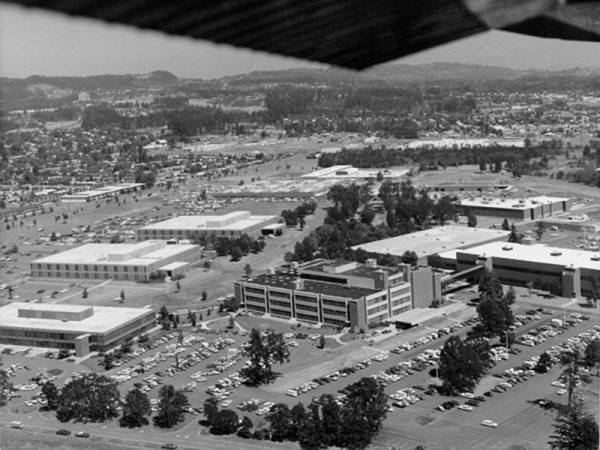 Tektronix instruments enabled the advancement of the television industry. 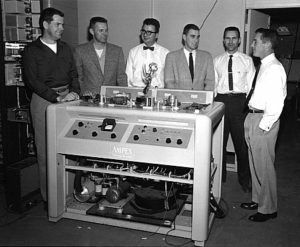 Ampex used Tektronix instrumentation in the development of the VR-1000, the first commercial video tape recorder. 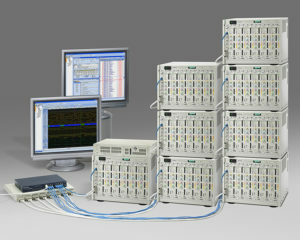 Tektronix instrumentation is present in labs and manufacturing facilities around the world delivering next-generation computers and technology. 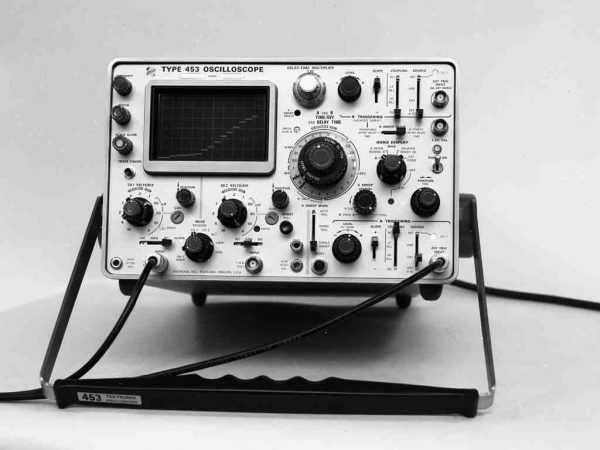 With the emergence of digital electronics came the need for a new class of test instrument – something that could see many more signals at one time than would be possible with an oscilloscope. 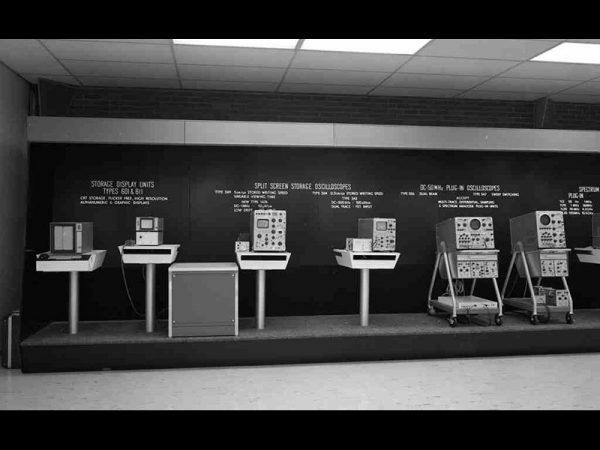 This was the birth of the logic analyzer. 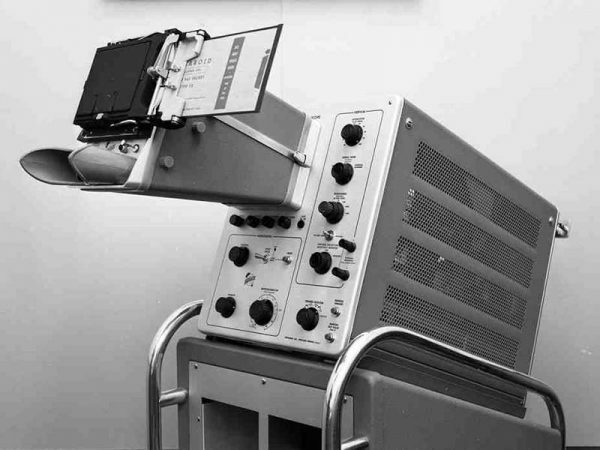 The first Tektronix Logic Analyzers were introduced in 1980 and were used to help develop some of the earliest computers as well as for early embedded digital systems. Engineers use Spectrum Analyzers and Signal Generators to solve difficult problems in the RF and Microwave realm. Finding and classifying the elusive RF signal can be the key to designing Radar and Electronic Warfare solutions. 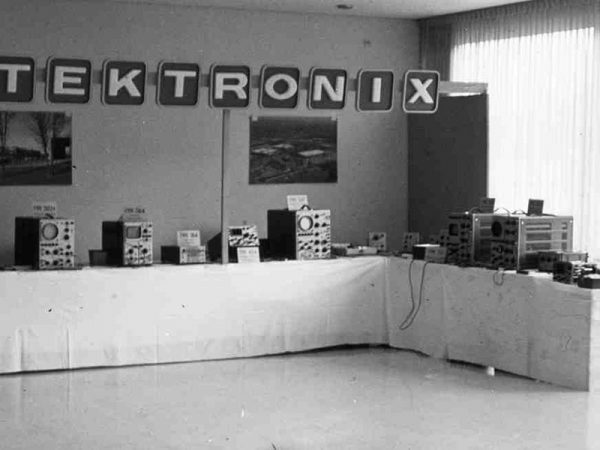 Tektronix entered the RF market in 1964 with the acquisition of Pentrix, who made RF Spectrum Analyzers. 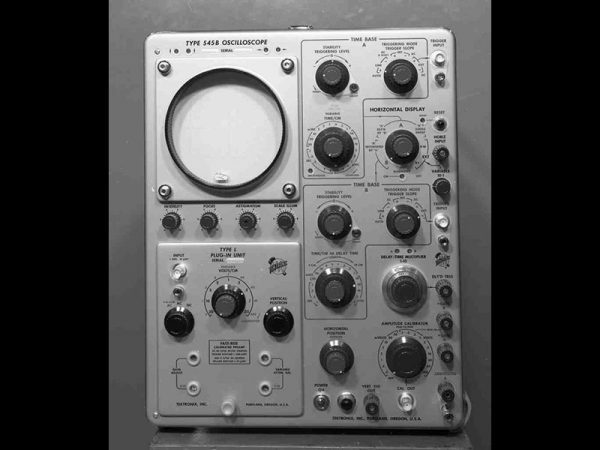 Tektronix also has a rich history in signal generation. 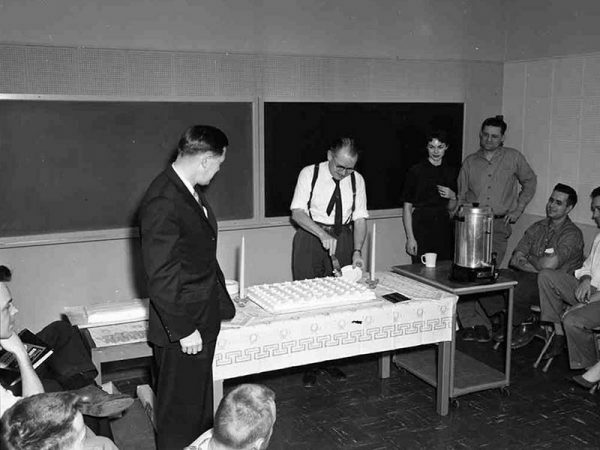 Howard Vollum’s first product was actually the calibration generator necessary for the 511 oscilloscope. Tektronix RF measurement solutions have included instruments for markets including military/ government, portable laboratory performance, CATV, cellular telephone, and advanced microwave analysis. 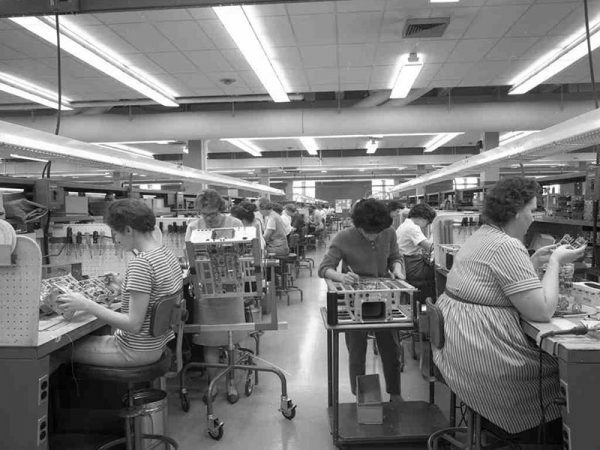 The vintageTEK museum is proud to display and share this extraordinary history of Tektronix and its people and technology and the impact they made on our world. Enjoy the website and stop by the museum if you are in the area. website are copyright © Tektronix. Reprinted with permission. All Rights Reserved.